Exam Warriors penned by the Prime Minister of India Shri Narendra Modi is a handbook that lists 25 mantra s to aid students to deal with the stress of scoring good marks in exams. The book Exam Warriors was launched amidst great fanfare at a function in Pravasi Bharatiya Kendra on 3rd February 2018. It incorporates colorful illustrations fun activities & yoga exercises to battle pressure and anxiety during examinations. Written in a very innovative and interactive manner the book not only helps students to sail through the examination hassles but also in facing challenges of life. With the board examinations round the corner this book will be a great companion for the students in India and across the world to deal with the stresses & nervousness they face during the examination season. The book is most relevant to the students undertaking vigorous preparation for crucial class 10th and 12th examinations. Exam Warriors has been published by the renowned publishers Penguin India and is currently available in the English language. 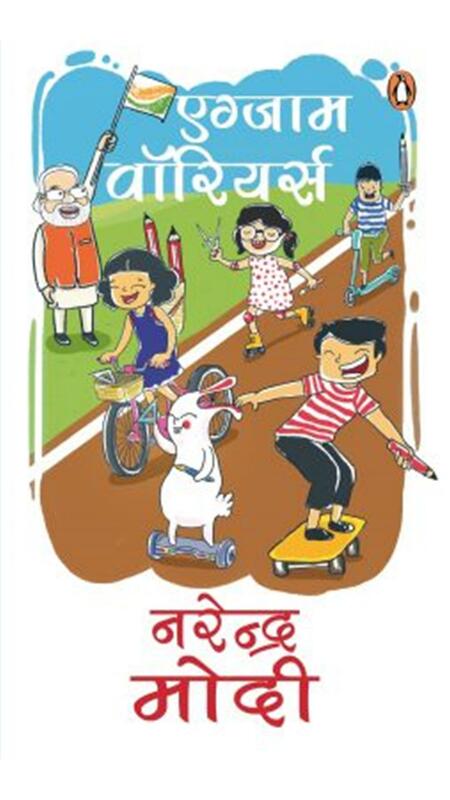 The book is the fifth one to be written by the PM Modi it costs just around Rs 100 and can be purchased from the online store of Paytm Mall. Dynamic enthusiastic and determined Narendra Modi represents an interesting turning point in the political history of India. Ever since he assumed his office in May 2014 he has brought significant economic and social sector reforms which in turn has accelerated India s growth & development on the global platform. The education sector has remained the Prime Minister Narendra Modi s government major areas of development. He is a motivational and inspirational leader to the billions of Indians especially to the youth. His monthly radio programme Mann Ki Baat is tremendously popular among the masses. He has often reached out to the students during this show to help them tackle exam stress and make examination period a breeze.